Mary Mallon & how she helped spread typhoid disease to several people. You’re probably wondering who Typhoid Mary is? Is typhoid a disease? As a matter of fact, typhoid is is a disease and Typhoid Mary, her real name is Mary Mallon, is someone who had typhoid disease and was responsible for several typhoid outbreaks. At first, she didn’t know she had typhoid, then refused to believe she had typhoid, all while she was responsible for several typhoid outbreaks. Let’s start at the beginning, Mary Mallon was born on September 23, 1869 and migrated to the US at around the age of 15. Once she moved to the use, Mary found her talent in cooking, until then though she lived with her aunt and uncle. She decided she would become a household cook for a living. From 1900 to 1907 Mary Mallon worked for seven families. At the first house that she worked at, the family developed typhoid fever. A year, after working for her first family she decided to work for another family. Once Mary started cooking at this household, that family soon developed diarrhea and fevers. But even worse than that, the laundress died! After the laundress died, Mary decided to cook for a lawyer. The same way she left her past two families, Mary stopped working for the lawyer when seven of the eight people she cooked for became ill. So in 1906, she went Oyster Bay, Long Island to cook for a family. Circulating through cooking jobs she finally went and be came a household cook for a banker. But once again, about half of the people she worked for became sick with typhoid disease, so she switched jobs. Later in 1906, the family she had worked for got typhoid disease and they hired a private investigator to try and figure out where or who they had gotten typhoid disease from. The investigator, George Soper, found that the person who gave them the typhoid disease may have possible been Mary, since she cooked all of their food. This was also so long ago that everybody cooked with their bare hands, so if she did indeed have typhoid then it would be pretty easy for her to infect the family that she cooked for. George Soper then tried to dig a little bit deeper, since he needed more proof to be able to say that Mary Mallon had infected the innocent family with typhoid. He started by looking at who Mary had worked for in the past and why she’d stopped working for them or what happened to her past families. He found that they had all become sick with typhoid. This observation was the proof George was looking for. As a result, he asks Mary if she would take a test by giving her “urine and stool samples” so they could see if she actually did have typhoid. Unsurprisingly, Mary refused to take the test. George knew he had to do something, so he reported Mary to the police. A little after refusing to take the test to see if she had typhoid, Mary was taken into custody by the authorities and they put her in isolation. She was forced to give her urine and stool samples so they could run the tests on her. The results came back positive, and it was discovered that Mary had typhoid disease in her gallbladder. After learning that she had typhoid in her gallbladder, they gave her the option to remove her gallbladder (which was the part of the body infected with typhoid) so that she could be freed and continue to cook without giving typhoid to numerous people. Feeling perfectly healthy, they let Mary free from isolation on the one condition that she would never cook for anyone else again and take the right precautions not to give typhoid disease to anyone else. After being freed, Typhoid Mary took a job as a laundress, but that wasn’t her passion. Still believing that she was perfectly healthy and the test results were a lie, Mary Mallon decided to change her name to Mary Brown so she could cook again without the authorities knowing. Typhoid disease followed “Mary Brown” at whatever household she cooked for. Finally, the police tracked down Mary and put her into isolation for the second time. This time they couldn’t let her go since she had lied to them the first time, Mary would be in isolation the rest of her life, unless they removed her gallbladder. Since her gallbladder had typhoid, if they removed her gallbladder they automatically removed typhoid disease from her. As stubborn as she was, Typhoid Mary again refused to have her gallbladder removed, still claiming she was perfectly healthy. 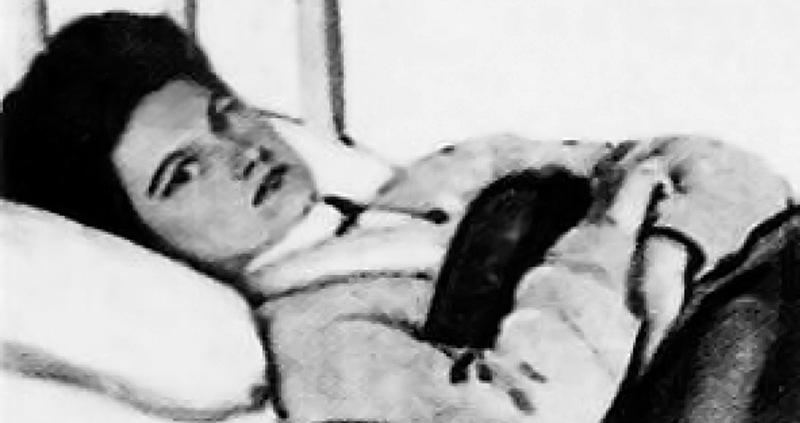 While in isolation, six years before her death, Mary Mallon had a stroke that paralyzed her. In the end, she died of pneumonia at age 69 on November 11, 1938. In summary, Mary Mallon was a household cook who infected numerous people with typhoid disease and refused to believe that she had typhoid disease and was the cause of those infections. She was given the nickname Typhoid Mary as a result of her action. In closing, Mary Mallo that is overlooked seeing as how she infected several people with typhoid disease and refused to own up to it. Today, “Typhoid” Mary Mallon’s memory still lives on. That is crazy. I never knew someone so “innocent” could be so oblivious to something so obvious. This was really cool too!